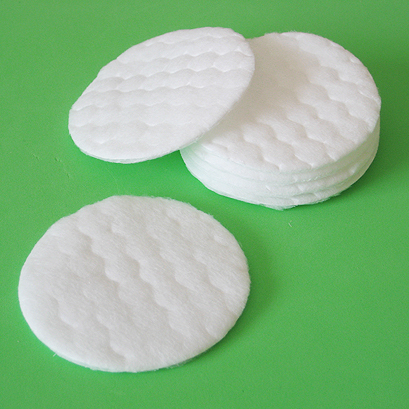 Round pads are produced in web weight of 160, 180 and 200 gr/m2. It comes with emboss surface. For easy dispenser the pads come with sealed edge. Unbelievable price on Round Cotton Pads in Semenyih (Malaysia) company PMI Cotton Industries, Sdn. Bhd..